Woohoo!! I am back with another card. One of my goals this year is to upload more of my cards and blog some more. I think I am definitely off to a good start (for me, ha!) 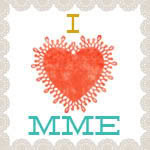 Anyhoo, I am taking another online card class and this one is all about stenciling and creative ways to use them. I love stencils and I love learning new and different ways to use them. For my card today, I sponged ink through my brand new heart stencil by Tim Holtz that I had already die cut. I used a couple different colors creating a bit of a gradient effect. 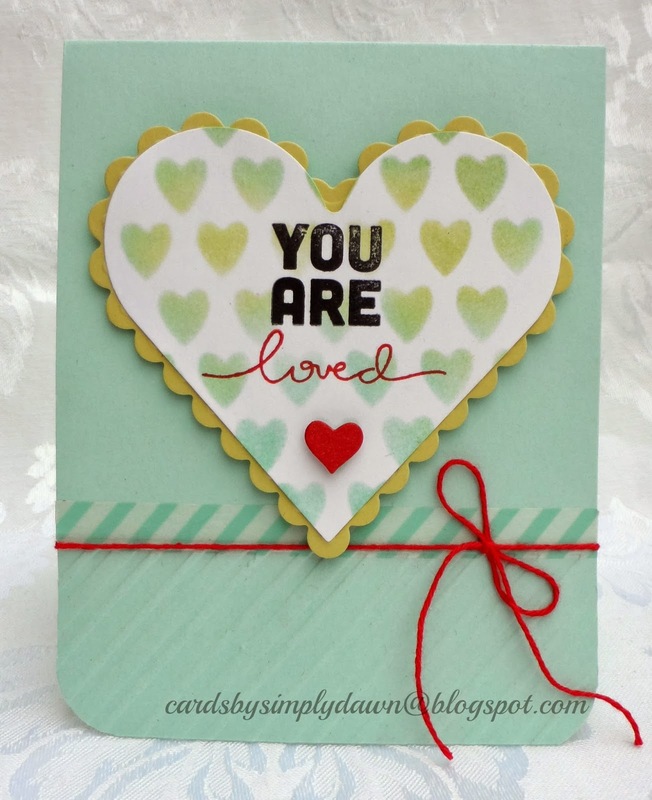 The sentiment is from the Thinking Of You stamp set that was in my February Card Kit by Simon Says Stamp. I kept this very clean and simple and just added a little washi tape, twine and some embossing along the bottom of the card. I rounded the bottom corners just to soften it up a bit. Well, that is it for me this morning. I have been up since 3 am again, so I have other cards to share later on. Hope you all enjoy your weekend!